She’s right. As I’ve progressed in my career, I’ve noted who the experts are. I tried to do something in PowerShell a little while back, and turned to Mike Fal when I got stuck. When I’m trying to figure out the right direction to go with a columnstore issue, I look up what Niko Neugebauer has to say on it. The reason I was listening to Kelly that day in St. Pete is because she’s a lot more savvy about marketing and PR in the racing world than I am. See a trend? Being known for making SQL Server faster and more reliable is Brent’s desired brand identity. BrentOzar.com is where I go when I have general SQL Server performance or reliability questions. It’s often the first place I go. Once I gain a little insight there, I might dig deeper elsewhere. Brent is very good about pointing people to experts in the field, who have a deeper but more narrow focus than he does. As for myself, you’ll find the phrase “fast and efficient SQL code” peppered throughout my online activity. I’m competent at quite a few things, but I’d like to think I really shine at that. As the communications director for the IndyCar Ministry, it’s my role to get the message out that we are “dedicated to providing spiritual support and counseling to the IndyCar Series drivers, teams, and staff.” But what are we known for? That’s a tough question, actually, and one I’ve been wrestling with. “Being there when needed,” has come to mind. I’ve often joked that IndyCar is a traveling circus. The paddock is very close-knit, and rightfully so. Having chaplains who are inside that paddock, not just logistically, but emotionally as well – that means a lot. It makes the difference between whether or not someone will open up about a problem in their life. In any case, I’m still working on this one. In part, it’s actually what prompted this post. In a similar capacity, I help Blue River Soccer “provide recreational, competitive, and educational soccer opportunities for the youth of Shelby County, Indiana.” Our tagline, which plays on what we’re known for, is “Ignite the dream. Launch the evolution. Respect the match.” We recognize that soccer is still in a transition period, at least in our area. So we set our sights accordingly. We try to give kids a passion for the game, give them the fundamentals, and set them up to move the needle forward – be better prepared to pass the game on to their own kids. Frankly, we’re not one of those associations with thousands of kids, paid coaches, and a big-time travel program. We’re known for being a place to which parents can feel comfortable bringing their kids, regardless of what they know about the game coming in. It all comes back to that question. If you’re promoting something – yourself, your company, your product or services – you have to answer that first. So… what are you known for? I write software for a living, and my posts are generally about topics that I think are useful to other people who do the same. This is the first in a series that is a slight diversion from that. I say ‘slight’ because I think the core concepts of good marketing are useful to everyone in the business world, regardless of your role. Follow along, and I think you’ll soon agree with me. I think it’s worth explaining where I’m coming from first. I am not a professional marketer. Like I said, I make my living writing code. But I do have some experience in this area, so let me tell you about it. I started as a software developer at ExactTarget in 2008. ET was a marketing company in Indianapolis that was eventually acquired by Salesforce to become the bulk of the new Salesforce Marketing Cloud. I still work for Salesforce, now in more of a DevOps role in the Marketing Cloud. Anyway, one of the benefits of being an employee at first ET and now the Marketing Cloud is the opportunity to sponsor a non-profit organization’s use of a free account on the platform. I took advantage of this years ago to help the IndyCar Ministry with their communication and funding efforts. 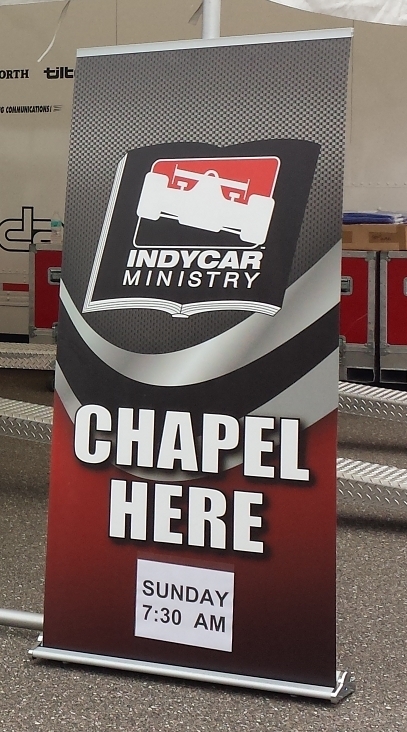 The chaplains of the IndyCar Ministry serve the spiritual needs of the IndyCar paddock, as well as that of the Mazda Road to Indy ladder. IndyCar is a “traveling circus” of sorts, and having chaplains present to counsel and listen and minister to them is more vital than one might think. But doing so takes money – note the “traveling” part of that phrase – and that’s where I come in. So I use the Marketing Cloud, as well as other tools, to help the ministry communicate with its supporters and spread the word about its efforts. I’ll be frank – I’m no marketer, at least not a paid one. I write software for a living. But I write software for a marketing company, and I’ve been helping the ministry for a long time now. I’ve been picking up some experience and expertise here and there over the years. Like most of life, this generally means the test comes first, followed by the lesson (expect an embarrassing post or two in the near future). But, as I often point out to the chaplains, I’m worth every penny they pay me! Anyway, over the coming weeks, I’ll be sharing some of those things I’ve learned. Whether or not you realize it, chances are good that you’re actually a marketer too (and that itself is one of my upcoming posts). I hope I help you become a better one. I’m at another SQL Saturday again this weekend, this time in Phoenix, Arizona. I’m looking forward to meeting the Arizona SQL Server Users Group folks and being back in the Phoenix area for the first time in over a decade. Since Microsoft was kind enough to open up compression (along with a host of other features) to all you non-Enterprise plebes with 2016 SP1, I figured I’d bring that session back out again. And after some recent adventures with partitioned tables (which I STILL want to write about in more depth here! ), I’m also presenting a new session on querying against those. A while back, I wrote an app that spawned a collection of threads to run some work in parallel, using the resources in the System.Threading namespace of the .NET Framework. Some time after that, I worked on another app that also had a threading component. This second app was reviewed by another developer from outside my immediate circle. He asked, “Why didn’t you use the System.Threading.Tasks” namespace? Uhh… because I didn’t know it existed? That namespace was introduced in .NET Framework 4 – not exactly recent history – but I had somehow missed it for quite a long time. There are a few causes for that, but the one I’d like to focus on here is a trap that I think catches many developers at one time or another: We think we have it all figured out. While we are, to some degree, practical mathematicians – professionals who assemble algorithms to meet requirements – we are also creators. Our code is our art. And oftentimes, we don’t have the humility necessary to accept the possibility that our art isn’t beautiful. So we shy away from having the right people check our work. Now, this is not a commentary on my current team. I work with some really smart people, and I’m very grateful for that. But while my teammate may be one of the best PHP or Node.js coders I know, that doesn’t necessarily translate to an expertise with the .NET Framework. The true test is this – no matter how smart they are, if they’re not catching my mistakes, then I’m not being held accountable. Lesson 1: Make sure someone’s catching your mistakes. If they’re not, then do you really think the reason is that you’re not making any? So, back to the two apps… After the other developer’s feedback, I reworked the second one prior to release, and it passed its code reviews. The first app, meanwhile, developed some bad behavior in production. There was definitely a race condition of some sort, but I couldn’t seem to nail down where it was. I made a couple of adjustments to the code, but nothing seemed to bite. Of course, I couldn’t reproduce it in testing either. Finally, I ripped out the threading code entirely and replaced it with nearly identical code based on System.Threading.Tasks. I was concerned about the risk of introducing more bugs, about the fact that I was still unable to reproduce the problem, and about how long it had been a problem, so I tried to remain as faithful to the original design as possible. And, yeah, honestly, I crossed my fingers. Once this new version was released, the problem was gone. Lesson 2: System.Threading.Tasks really is better than System.Threading. I’ll never know what exactly fixed the problem. I could keep researching it, but the costs to me for that aren’t quite worth the benefits at this point. My takeaway was that the new stuff just simply works better. Whether that’s because it’s easier to use the right way (and harder to use the wrong way) or its internals are less buggy or some combination thereof, the end result is the same. I hope that’s old news to anyone reading this, but I wanted to share my experience just in case. * I was unable to identify with certainty the source of this phrase. The leading candidate I found was 1962 Nobel Laureate James Watson. This is a bit of a deviation from my usual post. You can thank Brent Ozar for that. 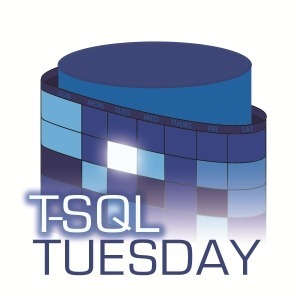 He decided to host Adam Machanic‘s T-SQL Tuesday this month. Since Brent Ozar Unlimited‘s newsletter is about the only one I read on a daily basis (and that even includes any racing-related ones I get! ), I noticed it and thought I’d participate. Brent’s topic is Microsoft Connect items. The one I chose is… well, let’s call it a pi-in-the-sky feature request. Ok, no more puns, I promise! Ah, yes, SQL Server on Raspberry Pi… Once the Linux news came out, I think it’s safe to say it was only a matter of time before we saw a Connect suggestion like this. What I’d like to do is go through a little thought exercise on why it would indeed be a good idea, why Microsoft didn’t bake it in already, why it doesn’t work, and what needs to be done to get it there. By the way, the Connect item also references R. I’m going to pretend for now that I didn’t see that. Maybe somebody like Ginger Grant will take a crack at it. This is basically a feature request. There are a lot of factors that go into the decision to add a feature to a product. One that is vital, but sometimes overlooked, is whether or not it fits within the overall theme of the product. It could be argued that small devices, in general, are not really a market for SQL Server. But I think Microsoft settled that argument when they announced Linux support. This is less about compact devices and more about running on one of the most popular Linux platforms. Another factor is adoption. No one wants to add a feature that doesn’t get used. What would SQL Server on Pi even be used for? Truthfully, I really don’t know. But that’s the beauty of Raspberry Pi. The foundation’s initial goal was for use in education and developing countries, but it has found uses far beyond the original target markets. There are a lot of hobbyists out there, experimenting with Raspberry Pi. I’ll bet quite a few of them interact with SQL Server in their day job. So, rather than ask why Microsoft should add this feature, should we ask why not? I think this is a classic case of putting it out there and just waiting to see what happens. Why Doesn’t Microsoft Support It Already? I know only one answer to this question, and it drives the rest of this post. But first, let’s be clear – Microsoft put SQL Server on Linux to compete with Oracle. I don’t think anyone’s questioning that rationale. So, something like Raspberry Pi, while it may be a “nice to have,” is not on the v1 list of requirements. Here we have an impasse. You can’t add memory to Pi. Well, you could, but it’s going to involve a soldering iron, hardware schematics, probably some assembly language skills… effectively, though, you can’t. You get what you get, and right now you get 1gb at most. As for SQL Server, it’s not an empty requirement. It won’t install on less than 3.25gb. And once you install it, if you then lower the amount of memory, it won’t start. Ironically, I used an Oracle product, VirtualBox, to test this. The reasons for this requirement are a bit cloudy to me. If you research memory use in SQL Server, you find two types of results. First, you have the question of just how much memory SQL Server can use effectively, on the high end. That’s not exactly our problem. Second, though, you have the issue of how SQL Server uses memory. It has its own memory manager. When you configure it, you give it a constraint – how much memory to use – and it does its own thing inside this constraint. Incidentally, it’s surprising the number of Google search results are along the lines of “Why is SQL Server using all of my memory?” Well, because you allowed it to! So, approaching SQL Server’s memory usage from the angle of “How can I get it to use as little as possible?” is a bit outside the norm. On that barebones Ubuntu VM of mine, I can see an idle SQL Server only consuming about 700mb. Yes, that’s while idle, and SQL Server will need room to do its job, but that’s a far cry from 3.25gb. Incidentally, it’s also consuming about 2.7gb of virtual memory. You can see, to a degree, what SQL Server is doing with that memory. The most helpful DMV is probably sys.dm_os_memory_clerks. As the name implies, it shows how much memory is under control of all of the active mid-level memory allocators. If you add the pages_kb up, though, you don’t get the full memory footprint. Of course, the executing code needs space as well, and here’s where things get blurry. SQL Server stores its data in 8k pages, but it also uses those same pages to hold some system objects. So the question of what is used by the engine, by features, by cached data… it begs the usual PASS community response… it depends. As a side note, what’s the least helpful DMV? That would be sys.dm_os_sys_memory. It doesn’t even work on Linux yet. That’s another Connect item. This is the question I really can’t answer. Could Microsoft give us the option to disable some features that don’t make sense on a compact system? How about full-text indexing? Would it really be necessary in this case? Ironically, even though you could disable it at one time, you no longer can. This leads me to believe there is the possibility that Microsoft has somehow made use of it elsewhere in the engine, which would kill it as a candidate. I wonder if that’s the case. Another good candidate might be CLR. Once again, is this really necessary in a small system? And due to the inherent security vulnerabilities, this is a pretty isolated feature. But wait! Before we go too far down that path, Microsoft has already figured it out! Check out the requirements for SQL Server 2016. Express Edition requires only 512mb! I’m at a loss at this point. Does Microsoft have any plans to trim the Linux memory requirement? What did they do to allow Express to run so light? Can that strategy be applied? And, should they remove this barrier, what else is holding this up? The most important question to me, though, is this: If you had a Raspberry Pi with SQL Server on it, what would you do with it? Comments are welcome! I finally had the chance to catch up on some reading last week, and it got me thinking about sharing this list. If you are in software development, then I would consider these four books to be required reading. I’m going to revisit this post in the future, because I’m sure there are more to add. But I wanted to start somewhere, and I’m confident about these four. TL;DR – Square brackets do not save the optimizer any time. If you didn’t already read Part 1, you might want to go back and do that. I will easily admit that I can be rather obsessive about code formatting sometimes. Frankly, inconsistency annoys me. When it comes to Transact-SQL, this can translate into all sorts of little quirks in my code. One of the latest ones is overuse of [square brackets]. They have their place, of course. There’s a reason the QUOTENAME function exists. And there will always be some annoying fool that likes to create columns with names like “name” and “type” or – worse – put actual SPACES in them! Anyway, this obsession had me thinking – does wrapping identifiers in square brackets save SQL Server any time? Does it say to the optimizer, “Hey, I PROMISE this whole thing inside these square brackets is an identifier. Cross my heart.” And the optimizer takes your code at its word and doesn’t look through its list of reserved keywords for one that matches AccountCreateDate or address_line_2? Note that this was written to use AdventureWorks2014. Also note that I’m running ad hoc SQL inside of a pair of stored procedures so that I can measure a very quick and small bit of SQL over a lot of executions, forcing it to recompile every time yet keeping the plan cache from blowing up. See Part 1 if you don’t believe that my ad hoc SQL’s compile time is factored into total_worker_time. Anyway, this code takes about a minute and a half to run on my system. The results? A dead heat. Sometimes, j1 wins, and sometimes, j2 wins. There’s no significant difference.